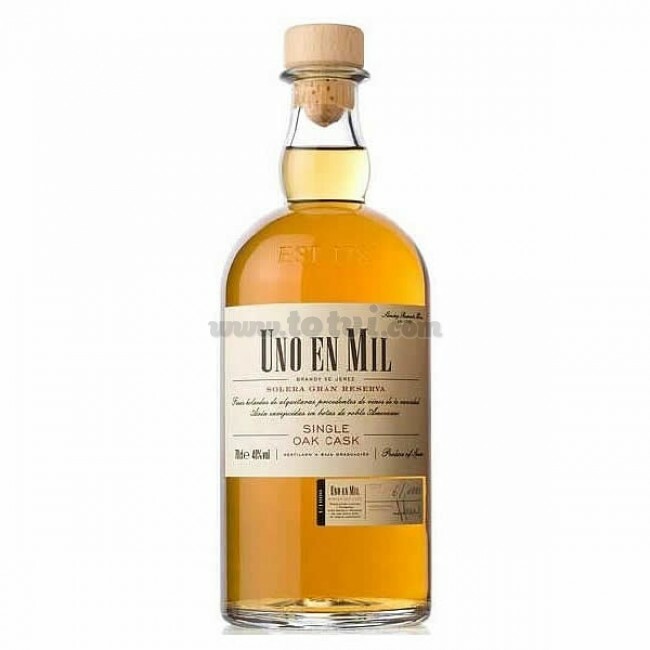 Uno en Mil is a Solera Gran Reserva brandy that comes from a thousand boots from Nederlands selected for its exceptional aging. Complex and unmistakable aroma while soft and delicate on the palate. 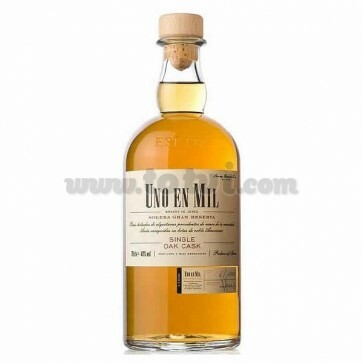 Uno en Mil is a Solera Gran Reserva brandy that comes from a thousand boots from Nederlands selected for its exceptional aging. Amber color Complex and unmistakable aroma. Soft and delicate, complex and surprising. It comes from a thousand boots from Nederlands selected for its exceptional aging that provides particular nuances, refined, demanding and absolutely identified with the current palate. Each bottle is qualified as "Single Oak Cask", that is, from a single American oak boot, with profiles of color, aroma and taste slightly different from the others. All of prices are with VAT included. After purchase you receive an informative breakdown on it. No sales of alcoholic beverages to under 18 is allowed. Wine only be enjoyed in moderation.